Keith & Deb met in the cutting horse arena and were married in 1984. They both knew from the start that they were to be involved in ministry in the cutting horse industry. In 1995 Keith met David Simmons, a cowboy preacher, at a Cowboy Church Service at a cutting horse show. After several years of traveling with Dave, Keith & Deb were licensed. In 1998 Keith & Deb were ordained through Cowboy Church Ministries in Weatherford, Texas. They became very active in several types of ministries, traveling around the United States and sharing the Gospel of Jesus Christ to the Western World using the Word of God and Country music to bring people to the Lord. In 2010 The Sanctuary Cowboy Church was started in a Barn in Star, Idaho. As the church began to grow we moved to Middleton, Idaho where God is continuing to bless us. In November of 2018, after an 8 month battle with cancer, Keith graduated to heaven. He fought the good fight, he finished his race and he kept the faith. 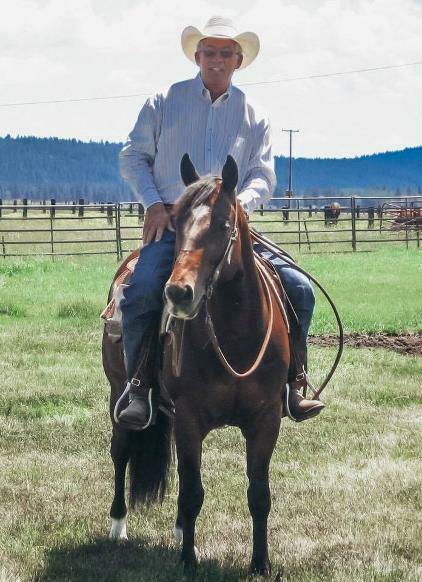 His legacy will continue on through The Sanctuary Cowboy Church and Tack Room Devotional.